I hope you were able to start our trip with us by reading our journey to and through Yellowstone! 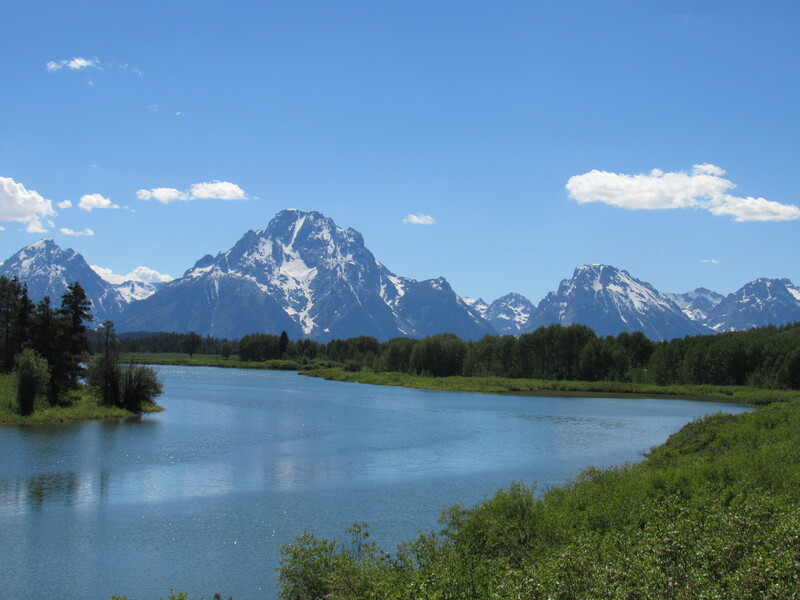 Visiting the Grand Teton National Park is a great extension to Yellowstone. They practically run together and the landscape is totally different, so I hope that your camera battery is recharged!! 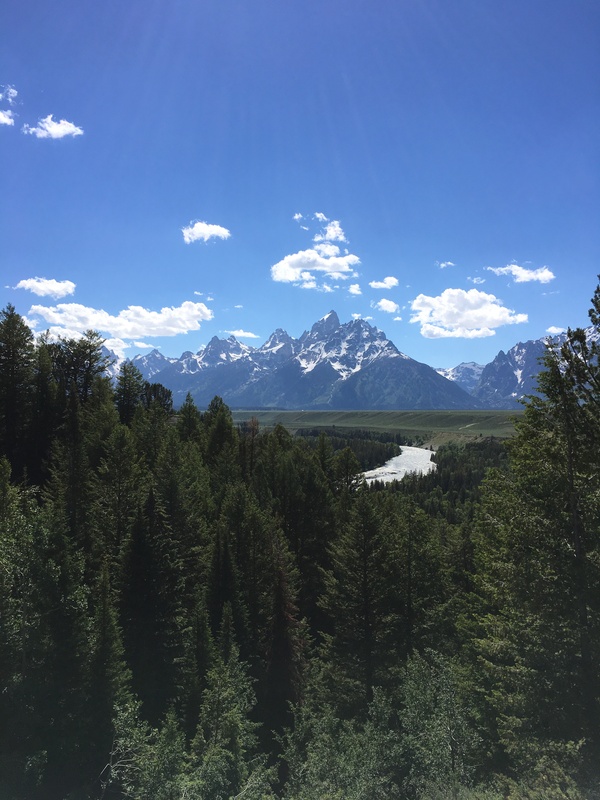 On the first day, we made our way from Yellowstone to Jackson Hole and stopped at some amazing places on the way! Our first stop was Jackson Lake. 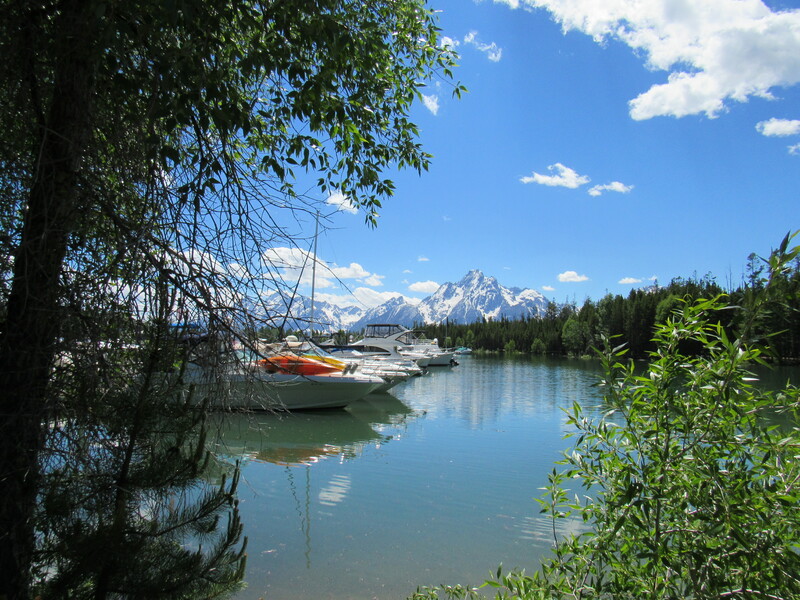 We started at Colter Bay and found a trail behind the Visitor’s Center which was a beautiful leisurely stroll with amazing views of the Tetons. It’s a very easy flat trail and you can choose how far you’d like to go. Next stop was the Oxbow Bend. We parked and I took a quick jaunt to the snake river hoping to see some wildlife, but wasn’t lucky enough to find any, but I got some amazing pictures because the views are AMAZING! 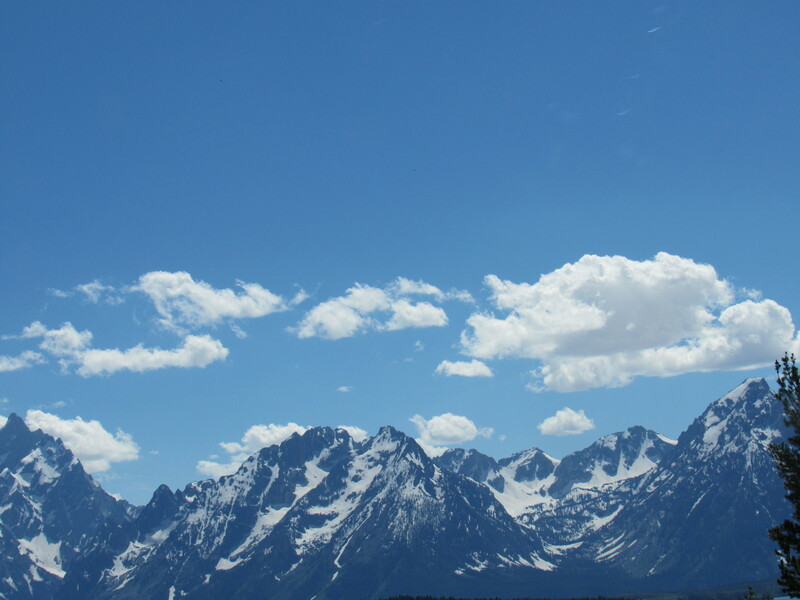 As we drove, we stopped at Snake River Overlook for amazing views of the Snake River and Tetons. This spot has been made famous by the famous photographer Ansel Adams. All of the overlook stops were pretty quick. There were some trails that I wanted to hike, but the family was exhausted! To Jackson Hole we go!! We made our way to Jackson Hole and after we got settled in to our new hotel, we grabbed some Mexican food (yes, I know…Mexican food in Wyoming!?!) at El Abuelito. We were a little tired of sandwiches and Mexican food is always a hit with everyone in the family. Read my review on El Abuelito here. The great thing about Jackson Hole, is that there were a lot of dining options available, more than the other towns during the trip. Time to rest up for our Day 2 in Grand Teton-Jenny Lake Area! Thanks for reading! I will be sure to check it out. Cool thanks pal, be sure too 🙂 is your blog on facebook?